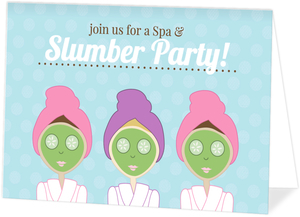 Spa days are the best. 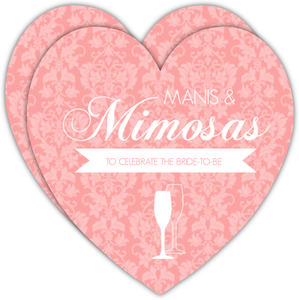 Seriously, argue with us. 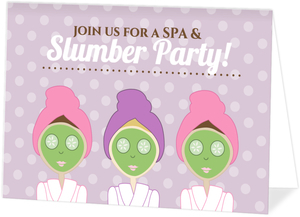 It's no wonder that people throw parties surrounding a spa day. 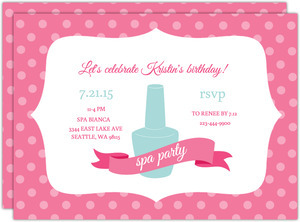 Well, design a custom Spa Party Invite and get the girls together for manicures, pedicures, and a dip in the sauna. 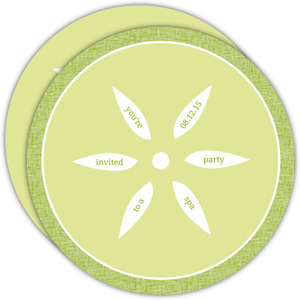 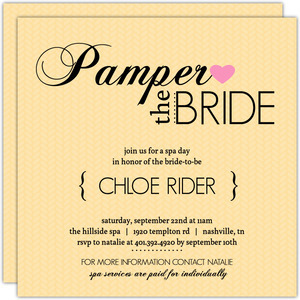 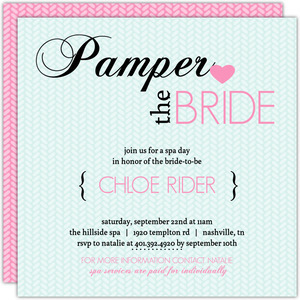 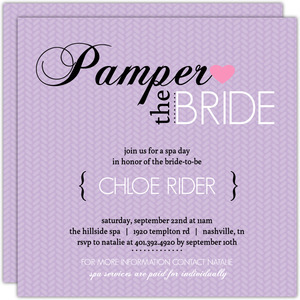 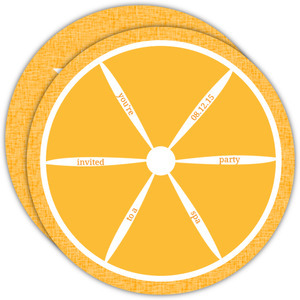 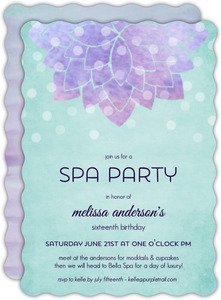 Our personalized spa day invitations are 100 customizable, with enough options to cause severe indecision. 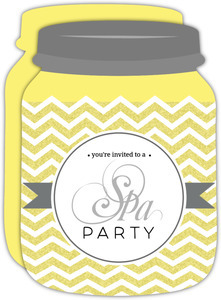 Add a photo, the address of wherever you're getting pampered at (Lux Nails, Henry's Spa House, Grandmas...) and whatever you see fit for such a party. 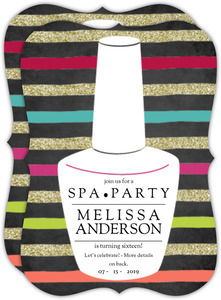 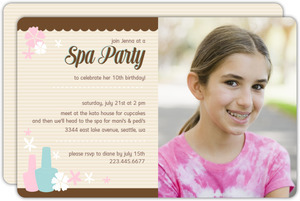 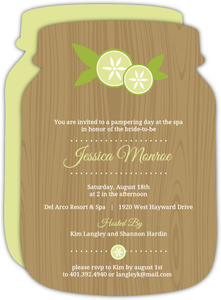 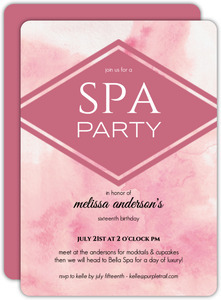 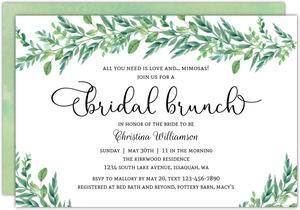 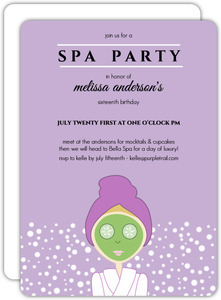 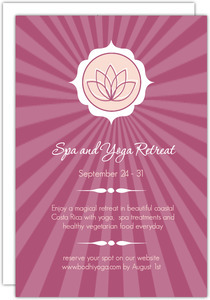 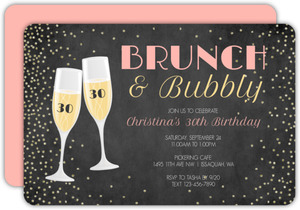 We'll just print your Spa party invites with our fantastic card stocks, and ship them your way as quick as possible.